We’ve been busy getting ready for Spring! 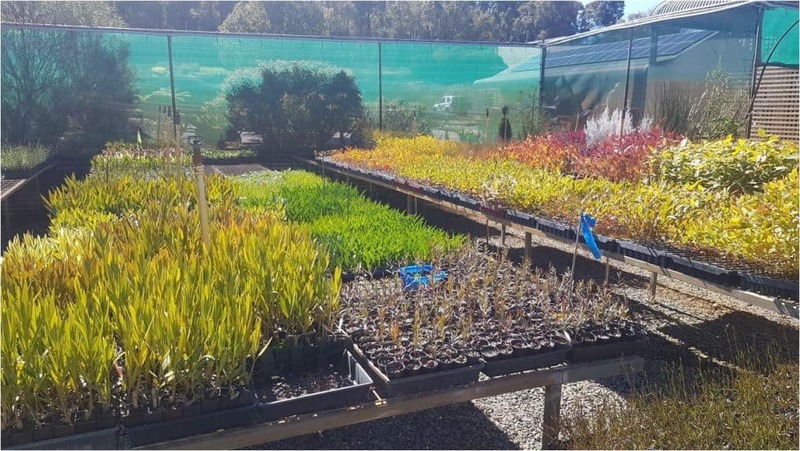 Around this time of year, our days are often spent monitoring our display and trial plants, making sure they’re faring well in the WA winter and growing comfortably in their pots. 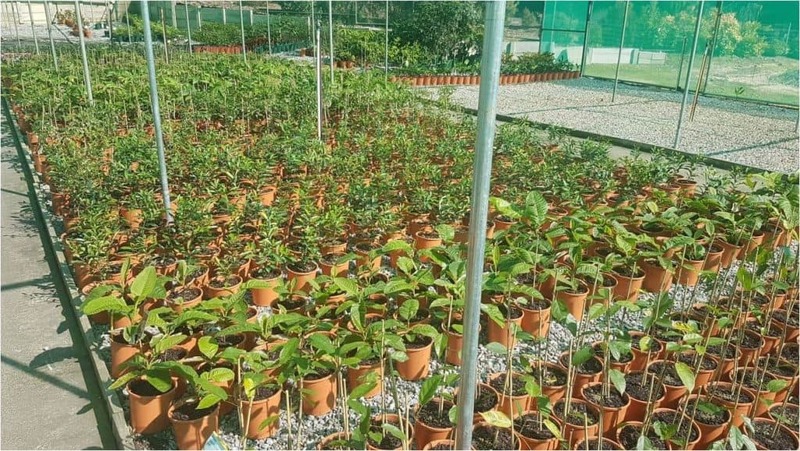 We trial a range of different pot sizes to see what works best — obviously you wouldn’t plant in a pot that’s too small, but pots that are too big can cause problems as well. We’ll talk more about that another day. Most people don’t realise how long it takes for seeds and cuttings to transform into the beauties they see in garden centres. 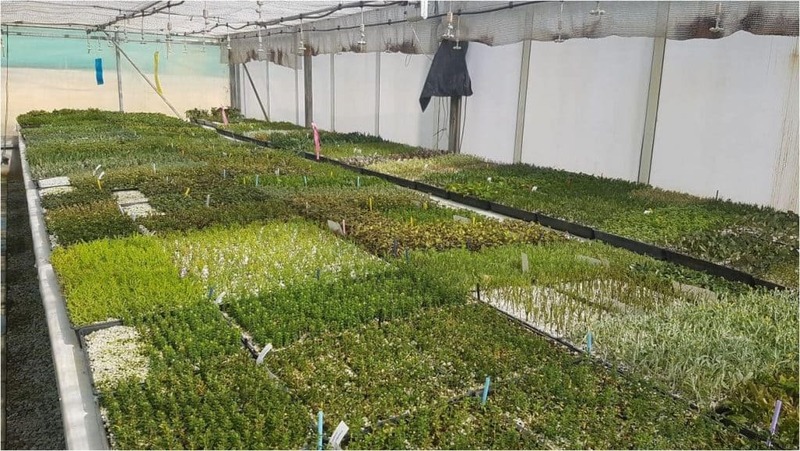 For most of our plants, we’re talking at least 6 months to a year. 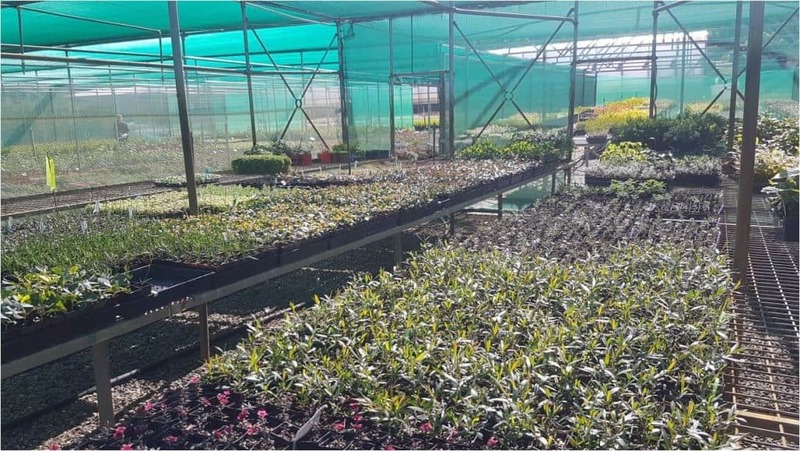 Currently, we’re trialling several propagation and seed germination techniques (like smoke and Gibberellic acid) to see what can give Tucker Bush plants the best and fastest head start in life. Soon, we’ll be taking cuttings and setting seeds aside for the next round of sowing. Last season’s seedlings have had a rough run, as Winter’s been especially cold. But now with a bit of sunlight, we’ve got some Native River Mint starting to shoot. This is a good opportunity to add a bit a slow release fertiliser in anticipation of the warm weather. 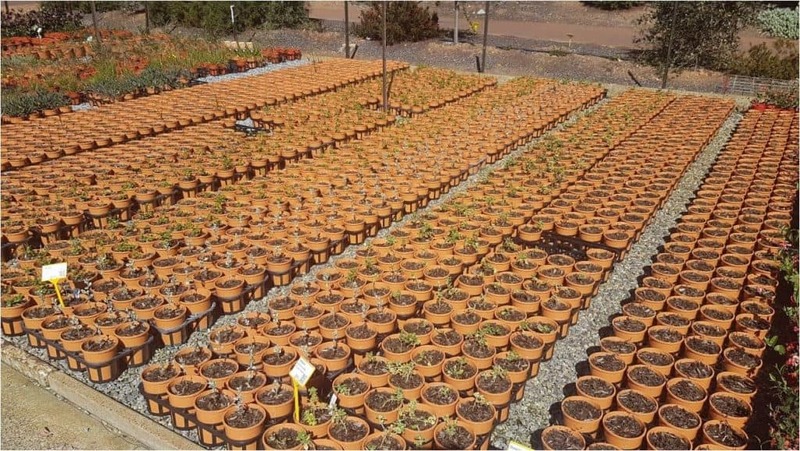 We work with Domus Nursery to supply all of WA’s Tucker Bush plants. 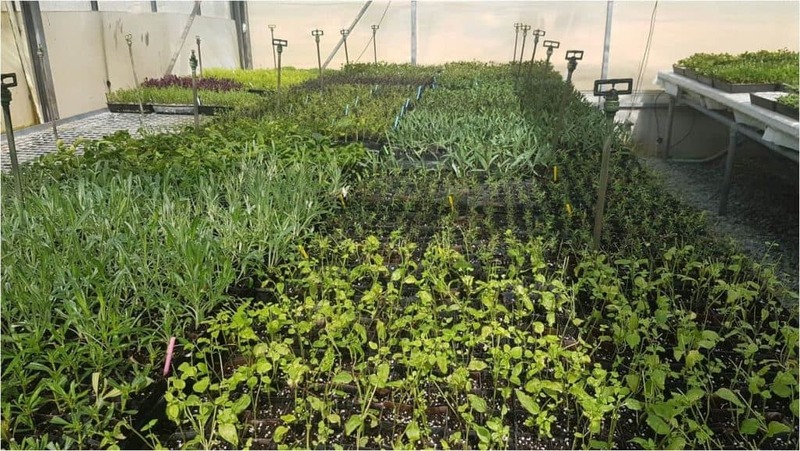 They have a great greenhouse facility with movable seedling trays and bottom heating. These conditions mean our seeds still germinate and our cuttings still put out roots when it’s cold outside. The worst of winter is over by the time they’re ready to move into tubes. Because they’ve been indoors up until this point, we still need to harden them off in a semi-insulated environment. This ensures they’re nice and tough for when we shift them outdoors. To follow us, like us ! Want to hear first by having our news sent straight to your inbox ? Can ‘Garden to Table’ Actually Fit Into a Normal Life?